Cloaking Device. 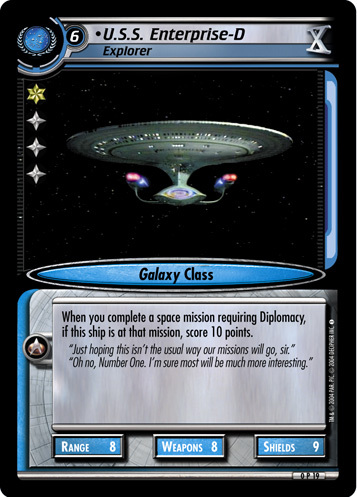 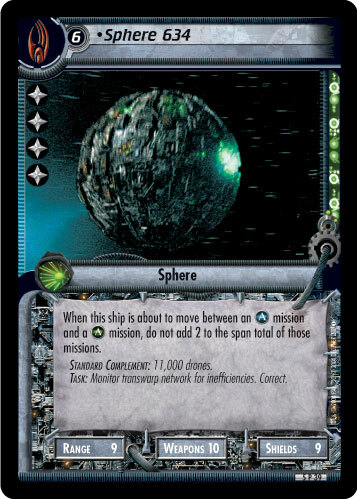 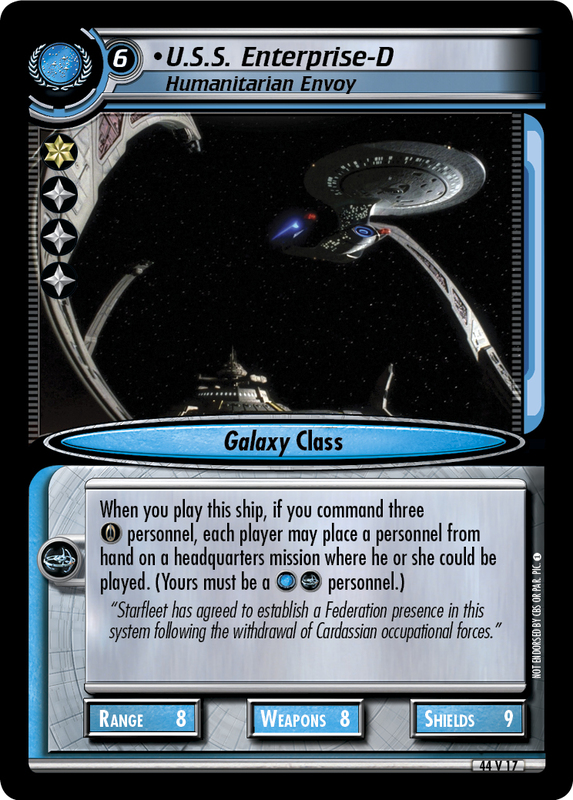 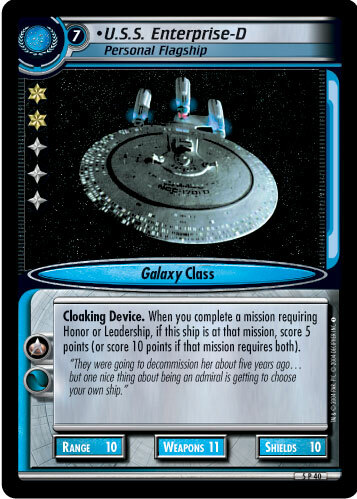 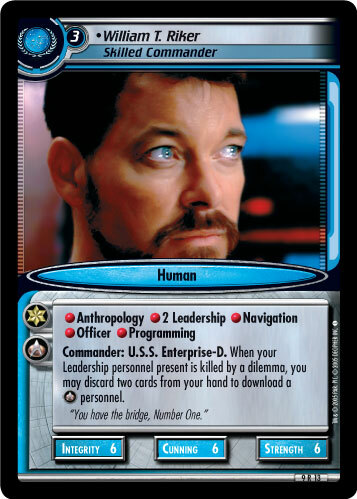 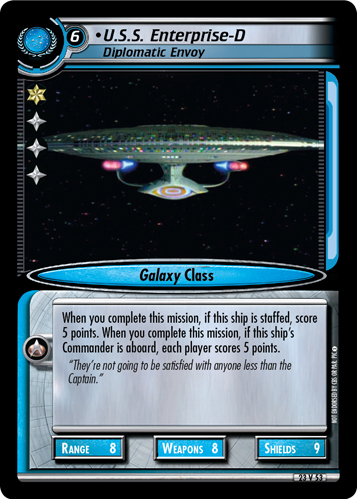 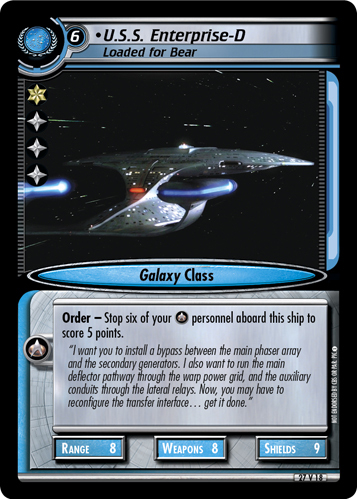 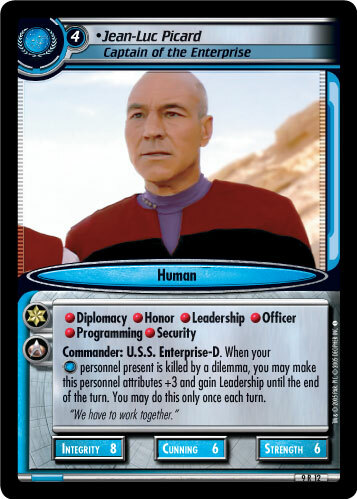 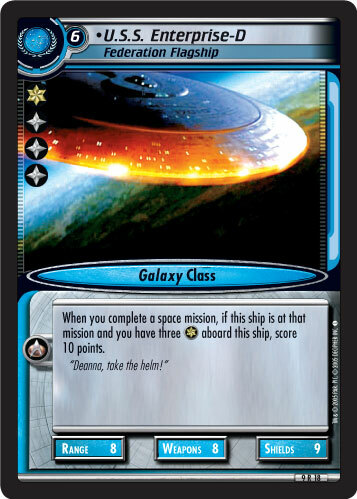 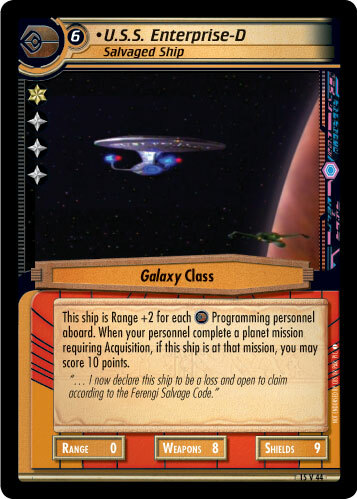 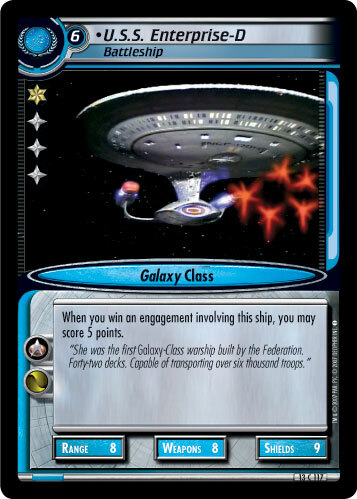 When you complete a mission requiring Honor or Leadership, if this ship is at that mission, score 5 points (or score 10 points if that mission requires both). 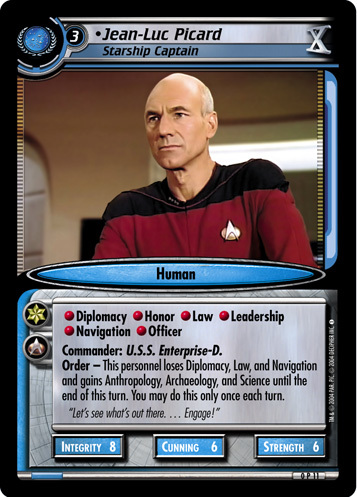 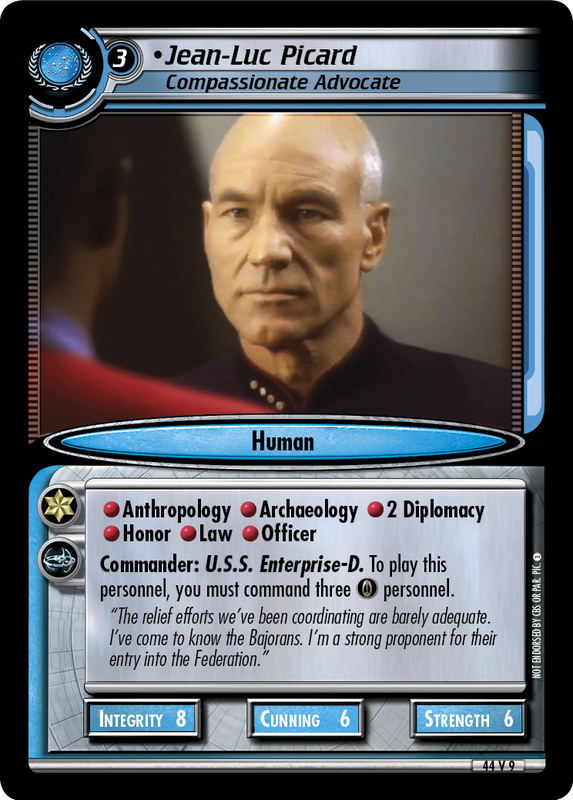 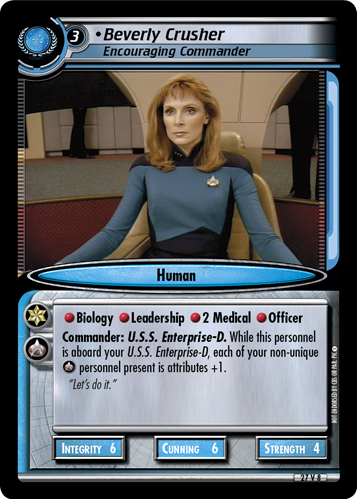 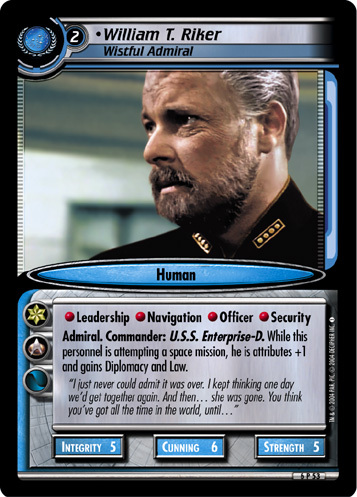 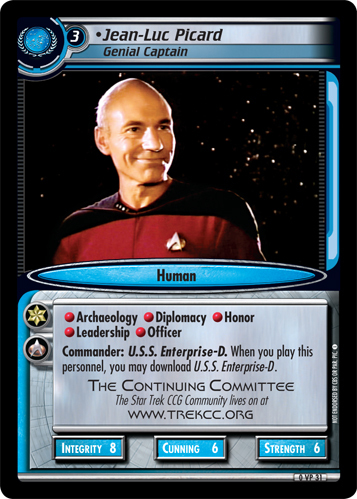 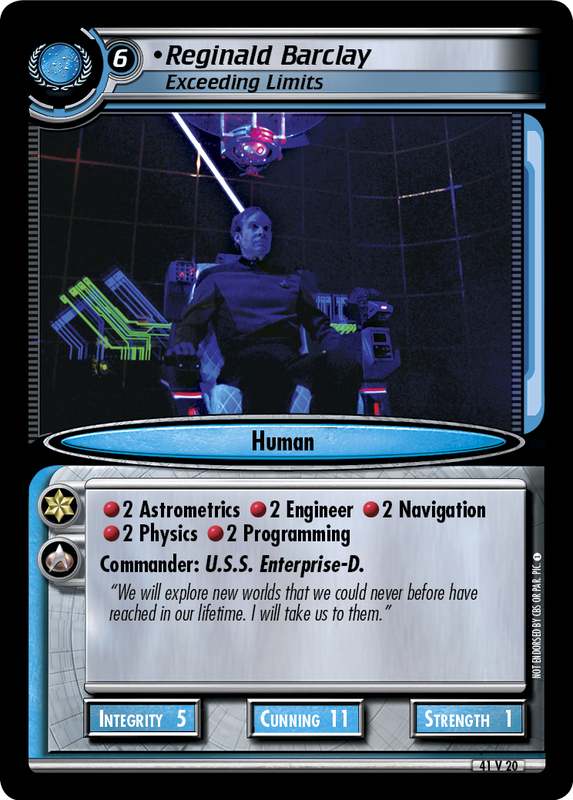 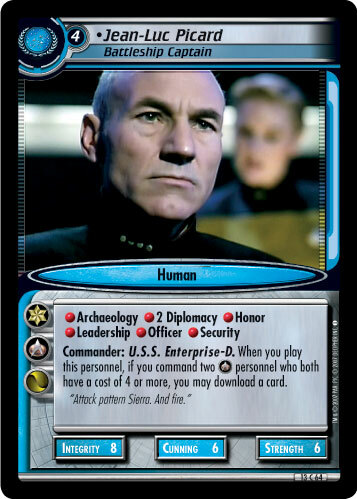 "They were going to decommission her about five years ago… but one nice thing about being an admiral is getting to choose your own ship."